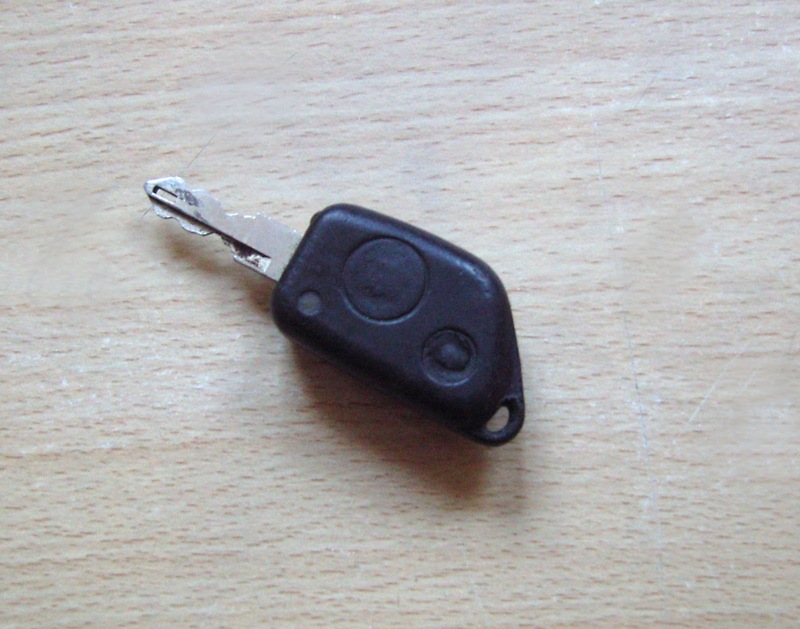 Follow this simple guide to re-synchronise your Peugeot 306 infra red key fob. 1. Unlock drivers door using the ignition key. 2. Press and hold large lock/unlock button until the red LED begins to flash. 3. Wait for 20 seconds and then press the smaller double locking button which will cause the red LED to stop flashing. 4. Release the large lock/unlock button and the LED should remain illuminated. 5. Enter vehicle and hold remote against the ignition barrel. 6. Press the large lock / unlock button. 7. Turn the ignition on to the second click and wait 10 seconds. 8. Turn ignition off and wait 5 seconds. 9. The synchronisation process is now complete. If the infra red key fob keeps un-syncing itself then the battery may be on its last legs. See our other post here which tells you how to test in 10 seconds f the infrared part of the key is still working correctly.